Give dad the ultimate Colorado weekend this Father's Day – two rounds of Vail Valley golf, an exciting whitewater rafting trip and a bottle of locally made whiskey - with the new Whiskey, Whitewater & Woods package from the award-winning Westin Riverfront Resort & Spa at Beaver Creek Mountain. A three-night minimum stay is required from the Whiskey, Whitewater & Woods package and upgrades to 1, 2 and 3-bedroom condos are available. It is available June 1-30, 2015. To book, please visit www.westinriverfrontbeavercreek.com or call 1-866-949-1616. 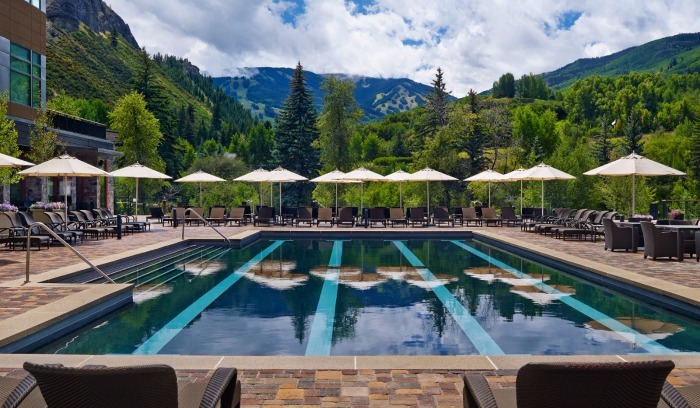 Located on the banks of the Eagle River in the heart of the Vail Valley, The Westin Riverfront features 230 finely appointed guest residences ranging from studio suites to three-bedroom condominiums, all with custom kitchens, five-piece bathrooms, gas fireplaces and Westin Heavenly Beds. The resort is home to Maya, a modern Mexican kitchen by Chef Richard Sandoval, which pours more than 100 agave-based spirits and house-infused tequilas and features an expansive terrace with stunning Beaver Creek views and outdoor fire pits. Amenities include an amazing year-round outdoor pool and three infinity-edged hot tubs, a Westin Kids Club, the Athletic Club at The Westin and Spa Anjali, which offers a full menu of healing mountain treatments, including a Rocky Mountain Sports Massage, the Men's Deep Cleaning Facial and the Mountain Man Manicure & Pedicure. To book your summer getaway, please visit www.westinriverfrontbeavercreek.com.